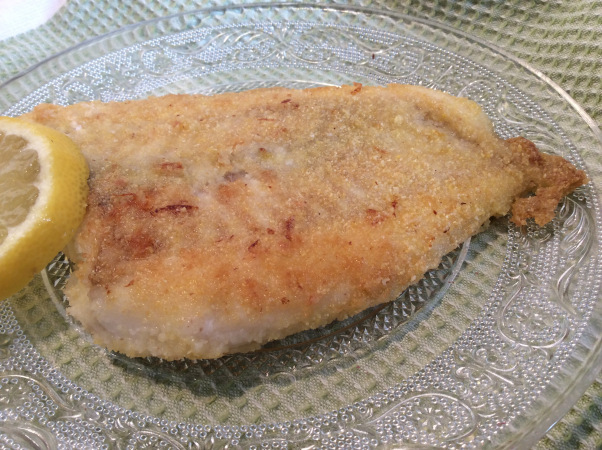 easy gluten free breaded fish, better than fish sticks! some grated lemon (optional) freshly grated, and preferably from an organic lemon. One of my tricks: I never discard a squeezed lemon. When I am done getting all the juice out, I put it in the freezer. Then, when I need lemon peel, I simply get the frozen “shell” out and then either grate it (super easy when frozen) or cut out the peel. 1. Mix all dry ingredients in a bowl and spread out on a plate. 2. Lightly cover the fish in some olive oil and press both sides on the gluten free “crumbs” in the plate. 3. Let the fish “absorb” the crumbs while the oil is heating up in a frying pan. Pan-fry the fish, turning it over after the first side has turned golden brown. Hee-hee… Being your elder by a couple of years, shouldn’t I know a little more than you?